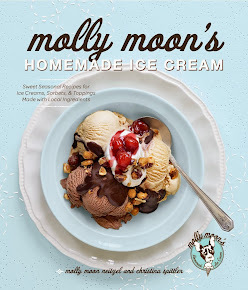 molly moon's homemade blog: new today: vegan coconut strawberry! new today: vegan coconut strawberry! For the first time ever: vegan coconut strawberry! This dairy-free flavor has all the creamy texture and strawberry flavor you could want. It's kind-of like the strawberry ice creams of our childhood, only better because it's made with organic coconut milk, organic vanilla extract and Washington strawberries. Editor's note: We've gotten some feedback that it's hard to figure out how to comment on this blog. We're working on a redesign/relaunch for this winter, but until then, just click on the little blue link next to the envelope icon that says 'comments'!